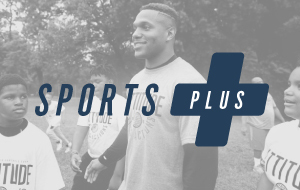 Healthy Attitude is a student health and wellness movement promoted by Pro NFL Philadelphia Safety Rodney McLeod, Jr., led by the Student Health Impact Project. Rodney believes that having a championship Attitude will help drive successful actions both on and off the field. Moreover, cultivating a Healthy Attitude for youth will shape positive health outcomes – empowering them to thrive in and outside of the classroom! When students are healthy and feel at their best, we believe they are better prepared to learn! In addition, if students are healthy, schools experience a reduction in absenteeism and see an increase in overall academic achievement. Throughout the season, Rodney will travel to schools to promote the importance of oral health screenings, vision care, and overall wellness for our region’s youth. The Student Health Impact Project will be onsite with Rodney, and throughout the school year to provide various free dental, vision, and health screening for consented and enrolled students. Ultimately, school principals, teachers, parents, community partners, and health professionals share the same mission – to ensure children and adolescents are healthy, safe, and reaching their full potential. Join the movement today! More than 51 million school hours are lost each year due to dental-related problems. Connecting kids to high-quality care improves education and health outcomes. Student Health Impact Project (SHIP) delivers health services that provide children and adolescents with high-quality care, and promotes academic success. 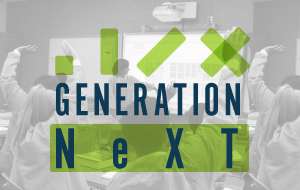 Generation NeXT is committed to preparing our next generation of healthcare professionals by shaping their potential through enrichment experiences, hands-on opportunities, scholarships, and after-school programs. 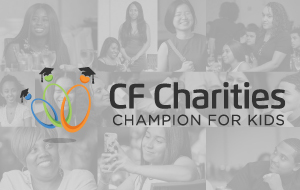 The mission of CF Charities is to champion educational and enrichment opportunities for youth by providing them the tools, experience and resources essential for a bright and healthy future. 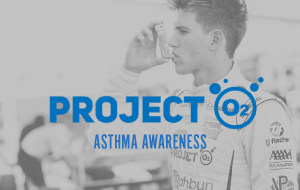 Project O2 supports asthmatic children through spirometry screenings, asthma device education, and care coordination of asthma action plans with school nurses and primary care providers. Thousands of young-athletes participate in summer camps to focus on fundamental techniques and lessons in teamwork. Sports Plus is a great addition to these activities and delivers specialized mobile health and wellness programs on-site to athletes.